Mengikuti Pemilu di Luar Negeri: Once in A Lifetime Experience! 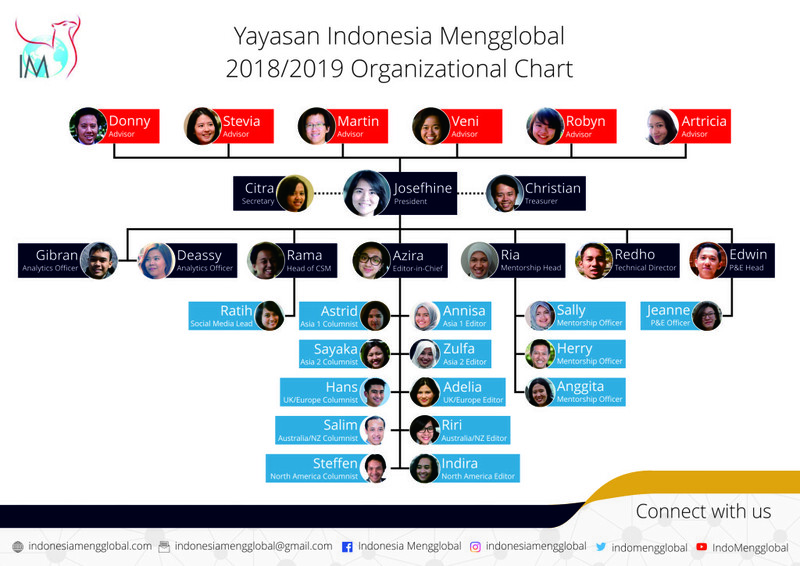 As the 2017/2018 tenure is drawing to an end, the family at Indonesia Mengglobal (IM) can’t help but reflect on our year of ‘milestones’. 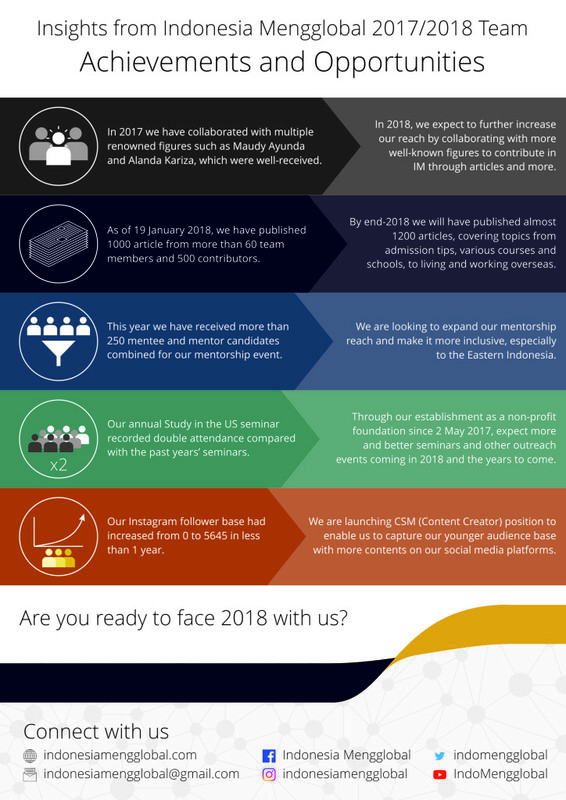 It had been a busy, exciting year. 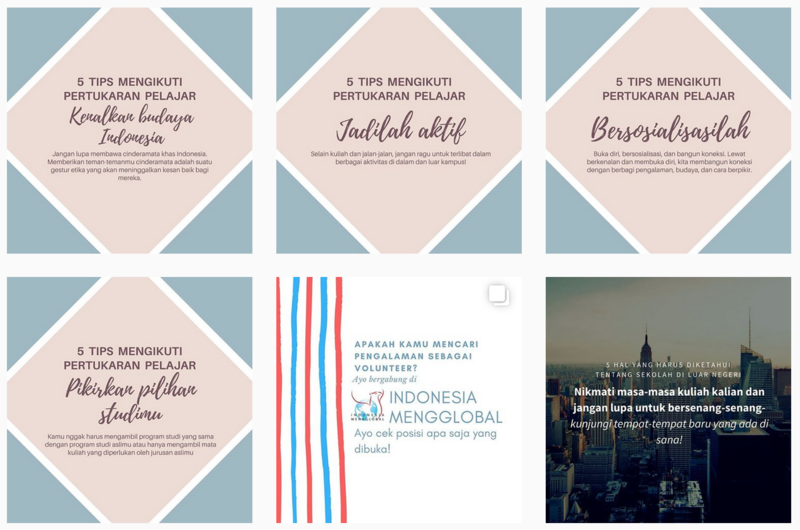 To name a few, we legally established IM as a yayasan nirlaba (non-profit foundation); did a major revamp to our website; joined the Instagram bandwagon; invited the Princess of Yogyakarta, Maudy Ayunda, and Tasya Kamila to contribute; and had more than 300 people coming to @America for our annual Studying in the USA seminar. Highlights aside, the most fun and rewarding thing of all is the friendship we’ve built along the way at IM. Say hello to some of your 2017/2018 team members. But first, who are we? 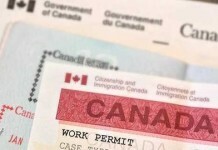 Founded in 2012, our family is comprised of 100% volunteers with very diverse backgrounds. 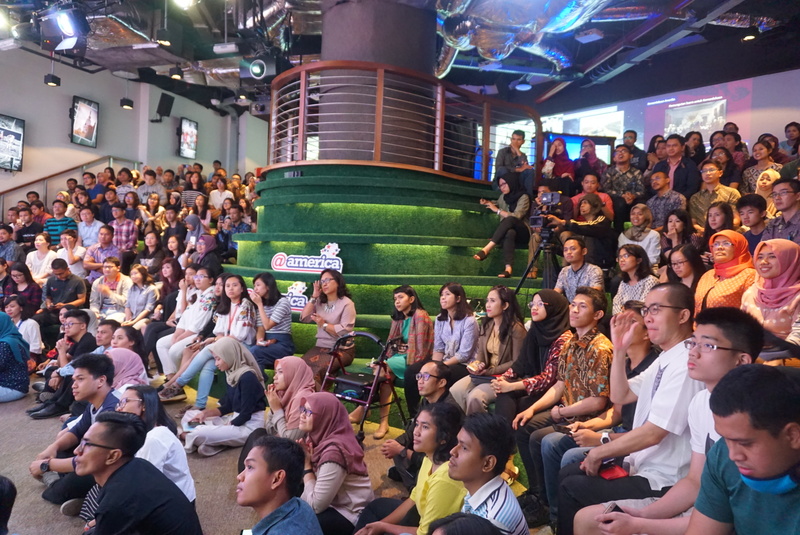 Mostly, we are Indonesian men and women who have studied and worked overseas – but a lot of us have never lived abroad, and are proud to be graduates of top educational institutions in the nation. The young and the (not so!) old, the writers and the engineers, the public servants and the entrepreneurs, we could not be more different and yet so similar in principle. We share the same vision of empowering more Indonesians to succeed on the international level. Everyday, we are reminded of our vision and raison d’être at IM through this tagline: belajar dan berkarya di kancah dunia. 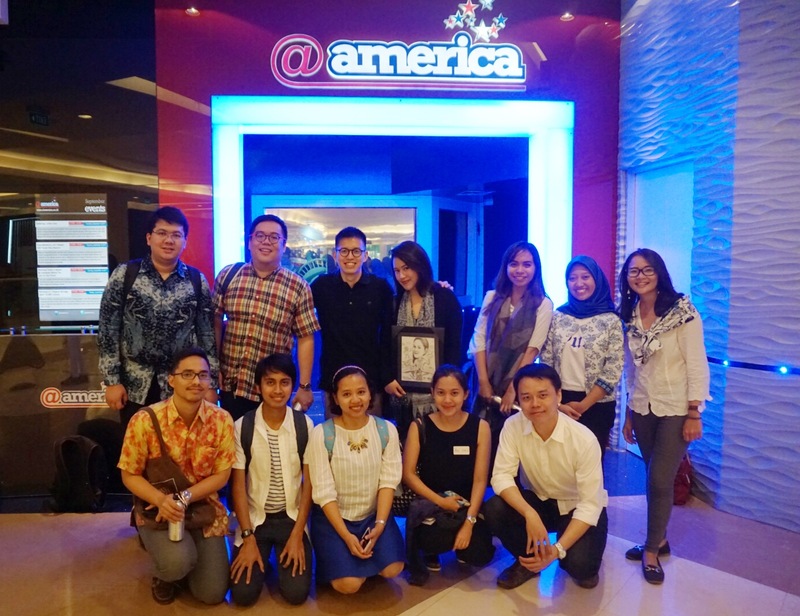 More than 300 IM friends at our annual Studying in the USA seminar, which took place in September 2017 at @America Pacific Place, Jakarta. To get one step closer to our huge dream, we realized that IM must have the institutional platform as well as the technological savvy to reach out to more Indonesians out there. Thinking small won’t cut it. At the beginning of the year, we jumped headfirst into Instagram, (now with over 5.5k followers and counting – yay!) and invited Alanda Kariza, the distinguished writer-activist, to share her experience as the first female president of PPI UK and how she balanced it with being a graduate student at Warwick. 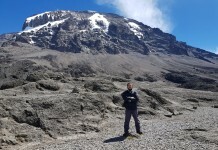 You can check out Alanda’s photo essay here. 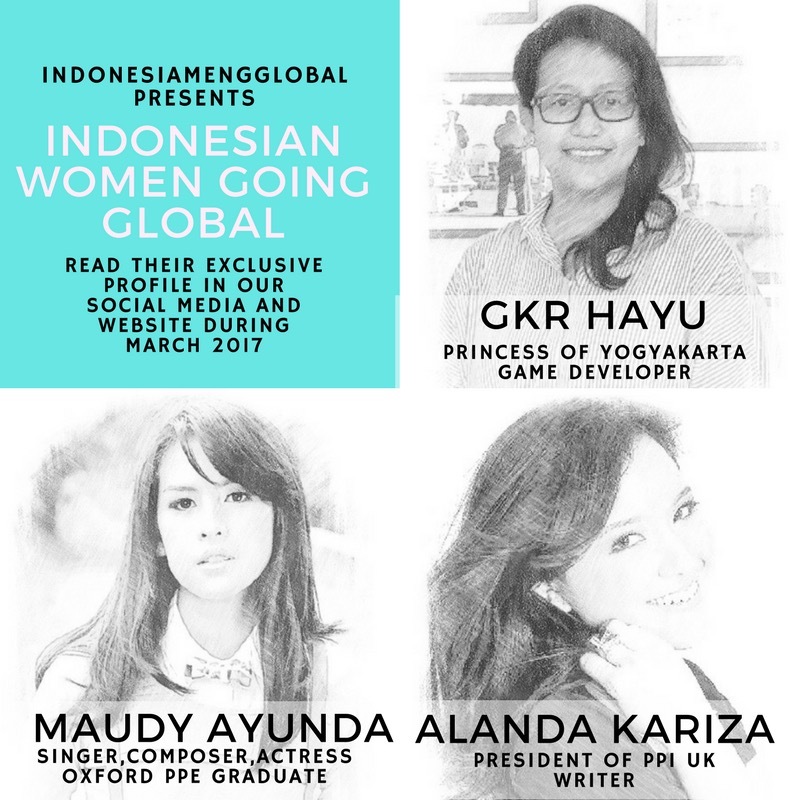 Not only Alanda, to celebrate the Women’s History Month and together with our fifth anniversary, in March we launched a special series with guest contributors consisting of Indonesian women who had gone global. 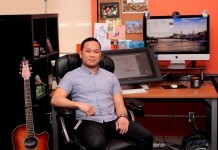 One of our most memorable interviews was with GKR Hayu (watch here for the first part of the video), who is an avid gamer, and was educated in both business and computer science. 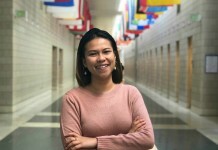 The Princess of Yogyakarta defies traditional notions of what it means to be a princess and a woman, and for sure has inspired us at IM and our readers! For more posts, tune in to our YouTube, Twitter, Facebook, and Instagram accounts. 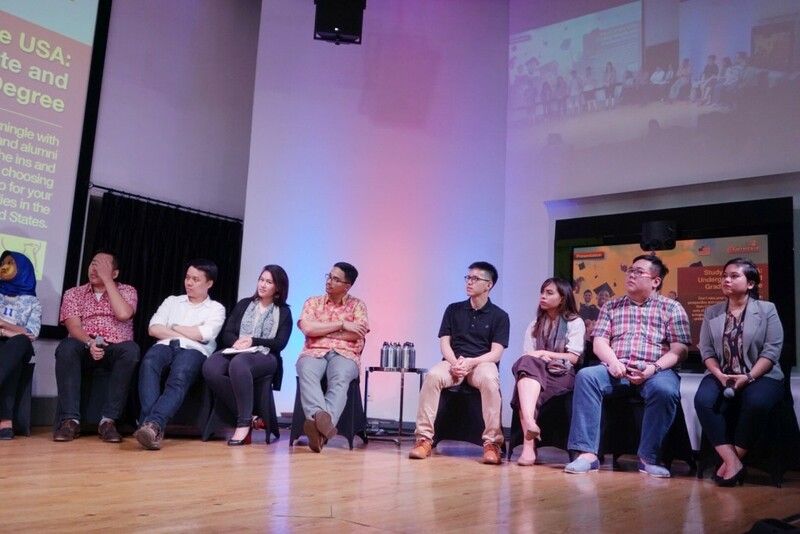 As we grow to reach out to more Indonesians, we also realized that we need to establish ourselves not only as an interest group, but also as a non-profit foundation. Therefore, coinciding with the National Education Day, on 2 May 2017 we were successfully registered as a non-profit foundation based in Jakarta. With our establishment as a legal entity, we will be able not only to gain trust from potential donors, but also to allow us to impact and share our cause with more of you, our fellow Indonesians. Since our founding in 2012, we’ve always put offline outreach as among our priorities. 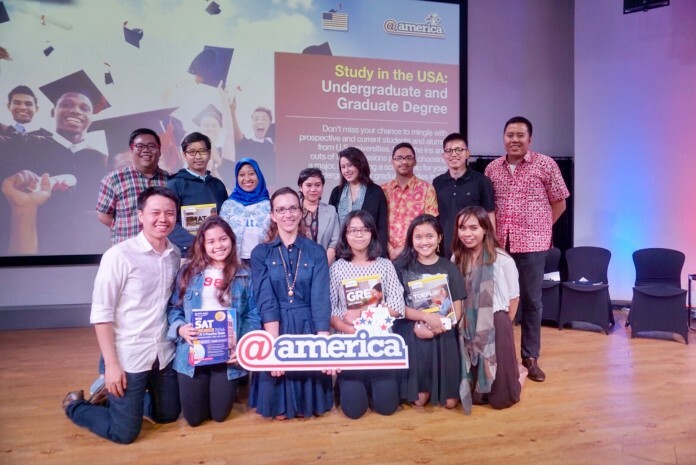 With our first ever Study in the USA seminar together with Indonesia Club at Stanford in 2012, from 2013 onward we have been holding the seminar at @America, the US embassy’s cultural center. These seminars were fully supported by Education USA, and we are very grateful for it. 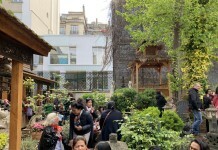 In our sixth seminar on 15 September, we held our most successful seminar ever: counting more than 320 people enthusiastically coming to the seminar – it was in fact so full that @America had to open more rooms for our participants. This year’s speakers also came from various background, ranging from software engineer, public policy manager, all the way to the Presidential Special Staff. They passionately answered our audience with burning questions on how is it like to study in the USA and how to get there. 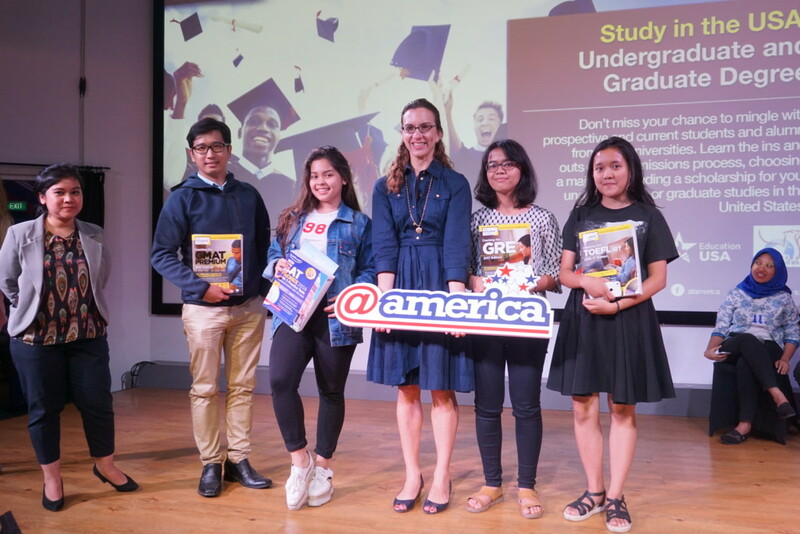 In line with the spirit of supporting Indonesians aspiring to study overseas, we have maintained our long-held tradition of giving free GRE and TOEFL preparation books, courtesy of Education USA. 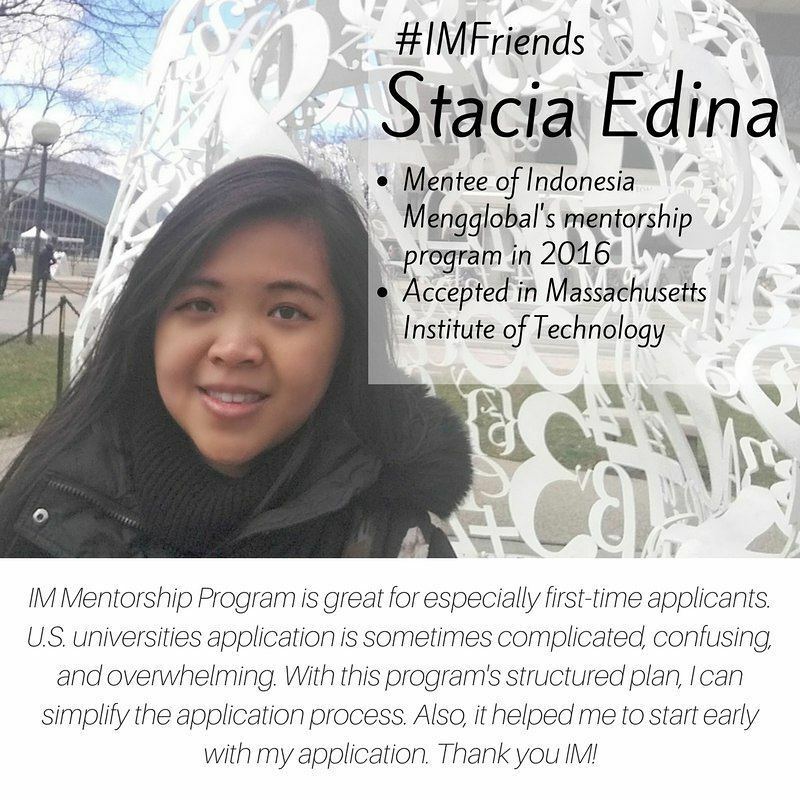 Now in its fifth consecutive year, our fully volunteer-run mentorship programme has helped hundreds of Indonesians to apply and get accepted at various prestigious universities such as Stanford, Cambridge, MIT, and more. Our mentorship programme has been widely acclaimed by our past mentees not only for its rigorous selection process, but also the quality of the programme’s resources and the commitment of its mentors. Not only that, since we first started we have also provided more than US$13,500 worth of scholarship to help our mentees defray their test expenses. Moving forward, our newly established legal status grants us more opportunities and (consequentially) responsibility to make this community more inclusive to many other Indonesians. Our focus this year is to increase the visibility of Indonesia Mengglobal as the go-to source for accessing information on studying and working abroad. 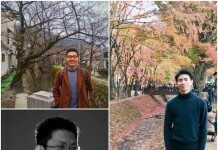 Our Editorial team, supported by Communications and Social Media team, will strive to offer the high-quality content that dissects the nitty-gritty of studying and working abroad. 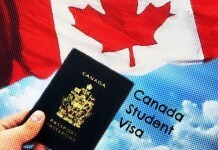 We will also reach out to the new audiences such as high school students who are preparing their college and mid-career professionals who are pondering of launching an international career. 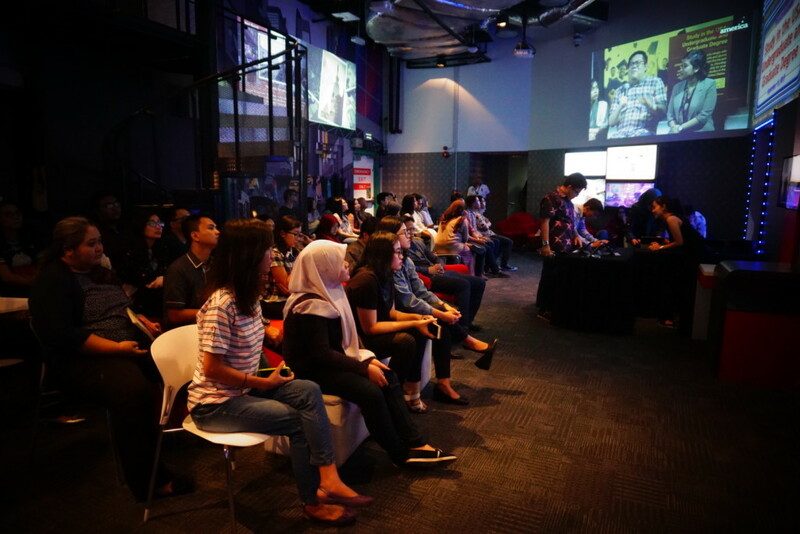 Our Mentorship team is also committed to open the program widely and be accessible to our fellow Indonesians in the eastern part of Indonesia. Collaboration with other communities and organize offline meetings are also among the top priority of our Partnership and Event team. At the heart of this community is the Analytics division in providing a feedback loop that can propel us to become better for our readers. All of these plans can only work successfully if you – our loyal readers, contributors, mentors, and mentees – are on the same page about our mission. Therefore, we humbly invite you to the year of full collaboration to spread the messages out there that: the information, mentorship, lessons learned about studying or working abroad must be accessible to everyone. Lastly, we thank you so much for being part of this community in the past five years. Cheers to many more years to come! Indonesia Mengglobal consists of a group of Indonesian students/alumni who are excited to share our study-abroad experiences. We hold a high regard for the value of our education and believe that a high-quality global education should be easily accessible to everyone in Indonesia. Jika anda mempunyai pengalaman belajar di luar negeri, kami butuh bantuanmu! Subscribe ke blog kami untuk menerima setiap berita terbaru dari Indonesia Mengglobal langsung di email anda. Indonesia Mengglobal adalah sarana diskusi dan sumber informasi pendidikan dan pekerjaan di luar negeri bagi bangsa Indonesia. Indonesia Mengglobal didirikan di tahun 2012, dengan misi untuk meningkatkan jumlah masyarakat Indonesia yang belajar, berkarya, dan berdaya di kancah dunia. 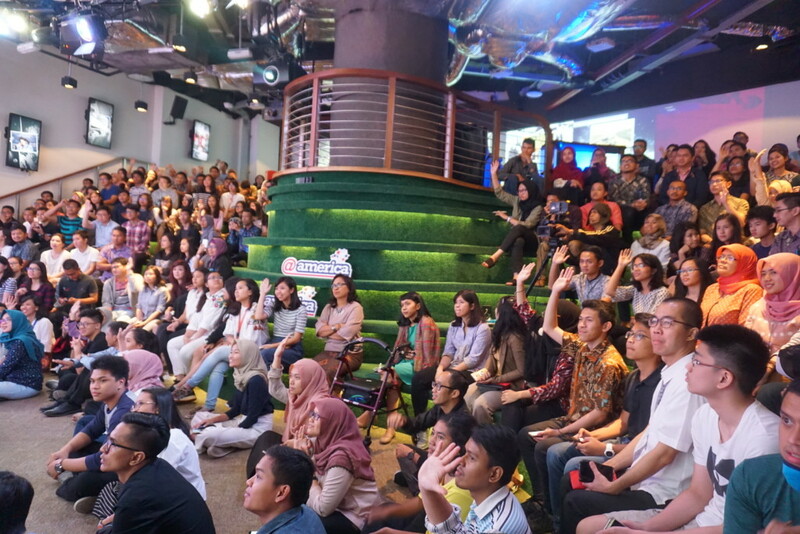 Ikuti Indonesia Mengglobal di Facebook, Twitter dan mailing list kami untuk mendapatkan info terbaru tentang aplikasi dan beasiswa sekolah di luar negeri.